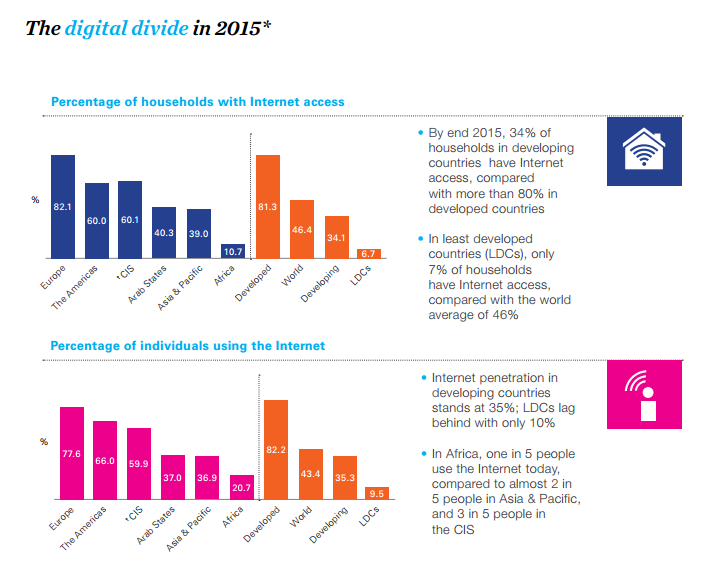 DIGITAL GENDER DIVIDE around the world is another major issue In the least developed countries, only 8% of females will have used the internet in 2015 compared with 11.3% of males.  Those statistics echo a September UN report that found that women in low- and middle-income countries are 21% less likely to own a mobile phone, helping perpetuate inequality between men and women. The ITU has set a goal to achieve gender equality among internet users by 2020. 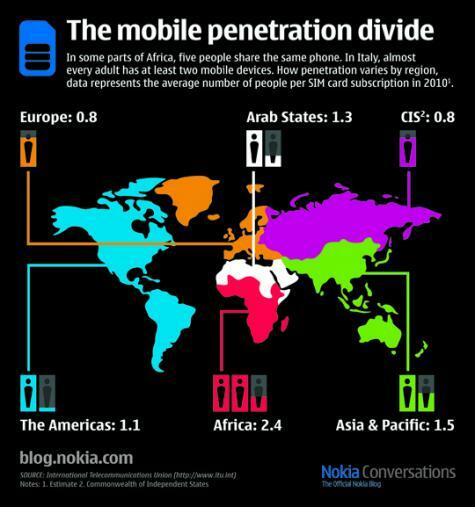 If you have often wondered about how the mobile phone penetration across the world, You will have your answer with this infographic. 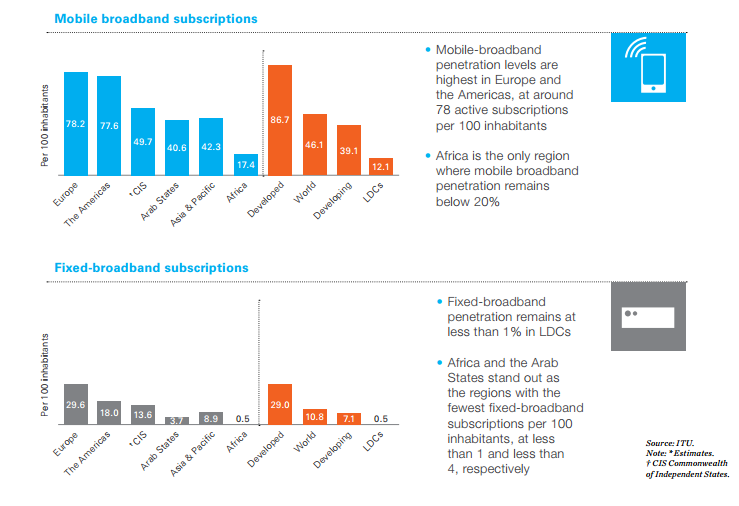 How does mobile ownership vary across the world? The latest data from the International Telecommunications Union (ITU) breaks down the number of people for every SIM card subscription across the different continents. Which continents are the mobile rich and which the mobile poor? Nokia has taken official numbers from the International Telecommunications Union (ITU) and plotted them on a big, colorful world map. 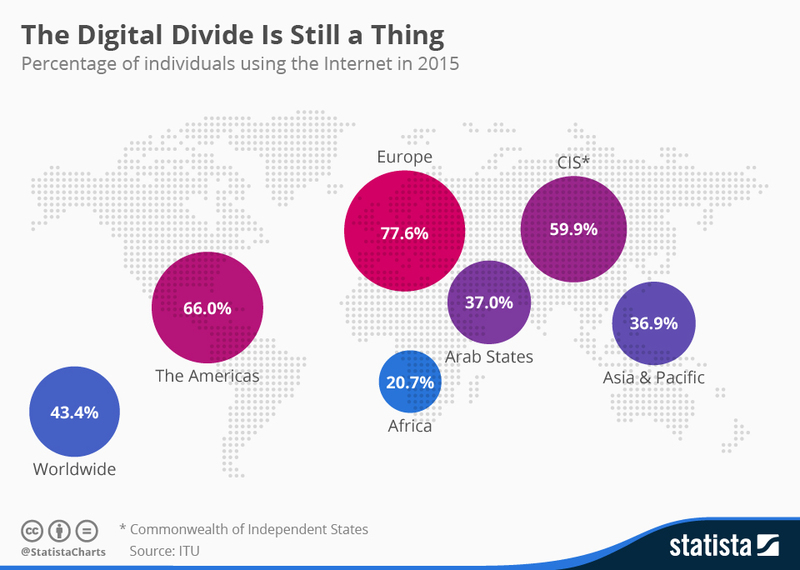 Europe and the CIS (Commonwealth of Independent States) are the most connected with about 12.5 mobile phones for every 10 people, followed by The Americas with about 9 phones for every 10 people. Worst is Africa with only 4 phones for every 10 people. The full list is below.